Design: Sabrina Alfin Interiors. Photo: Dean J. Birinyi. I've yet to meet a client who didn't want their remodel to be done as quickly as possible so the disruption to their day-to-day lives can be minimized. But oddly enough, many of those same clients also suffer from what I refer to as "decision fatigue"--that point in the project when eyes begin to glaze over and everything begins to feel overwhelming. "Can't we decide that later?" is a common refrain. 1. Lead Times. You know that show-stopping hand-crafted tile in just the right color your designer is recommending? It's a custom order and takes 6 to 8 weeks to manufacture, and probably another week to ship. Which is fine when demo hasn't yet started, but could easily hold up the job if you wait until the middle of the project to order it. Ditto the lighting that's on back order, and the custom cabinets that have to be fabricated. 2. Schedules. When I say "schedules" I don't mean timing. I'm talking about selections of finishes, materials, etc. to complete the job. 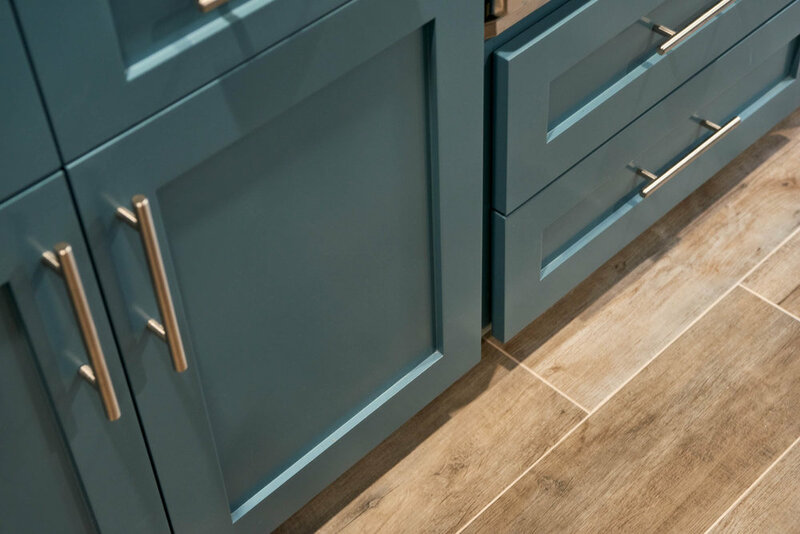 Paint schedules, appliance schedules, cabinetry, lighting, and the like really should all be delineated on the construction documents with the brand, item number, finish color, and where it goes. And, if your designer is thorough, s/he should be requesting a meeting to review all of the specs of the job with the general contractor. Why? So there is no misunderstanding about the intent of the plans. Good, detailed drawings and schedules are great, but it's been my experience that nothing beats a face-to-face conversation in a project kick-off meeting with all parties. 3. Keeps contractors on the job. So let's say you didn't make all the decisions and purchases upfront. Let's surmise you, the client, are still waffling between two shower sets, each by a different manufacturer. The bathroom is gutted and the plumbing sub-contractor wants to begin his work. Without that specification, he can't put in the rough valves because they aren't universal. So what does he do instead while he's waiting for your decision? He goes to another job. It could then be days or weeks before he's got time to come back, which means the general contractor can't get the drywall/wet wall guys in to do THEIR work. As you can see, this can domino into big project delays which could have been avoided if everything was decided, purchased, and on site. My advice? Power through all those decisions with your designer upfront and get them into the plans. Your contractor and his subs will thank you, your designer will thank you, and your life will be back to normal in your beautiful new space as fast as possible. Calling All Real Estate Agents!